There was a time where I thought “Who would read that?” or “Who would listen to this?” Those types of thoughts are self-defeating and will never help you start the race, let alone finish it. That’s why I keep a running list of quotes, many of which I’ll share with you on this program. These mottos inspire me to stay focused on tasks. I hope they help you to not get discouraged when you feel like you’re overwhelmed or your wheels are “spinning”. 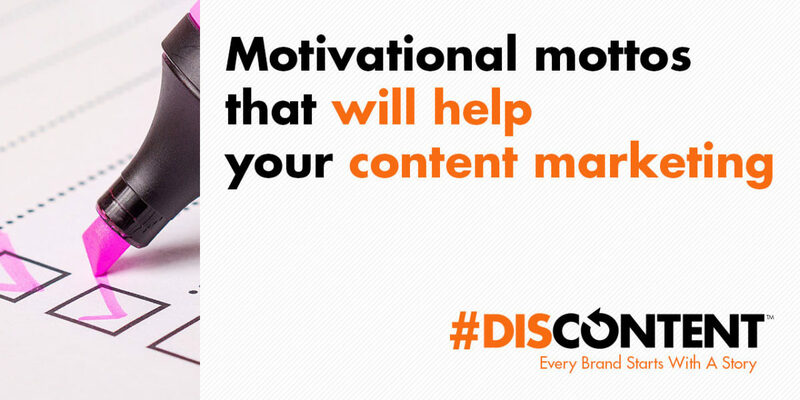 In this episode of the DisContent Show I may sound like a cheerleader when it comes to encouraging people to get into content marketing, and keep your efforts going. It can be difficult at times, but I promise you, you’ll feel more like your own cheerleader when your efforts pay off. Hello! My name is Joe Kuzma, and if you’re reading this, thank you! I’m pleased to virtually meet you and I hope we get to know one another well throughout this crazy journey of producing content.